Today we left our paperwork behind and took a trip to the Quarry to see how our next project was coming along. 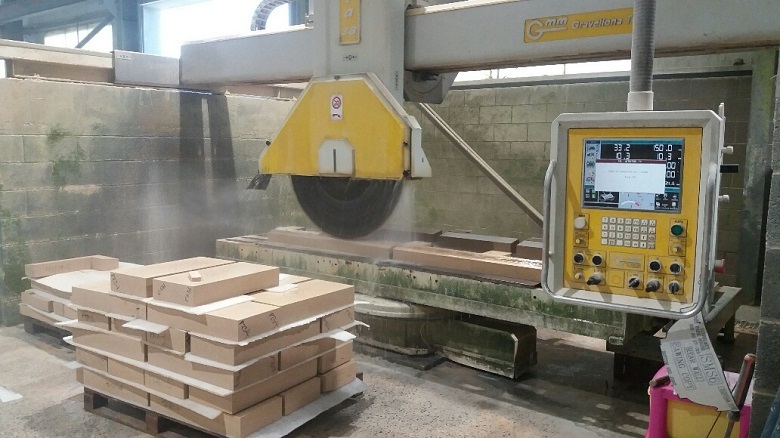 As you can see from the photo, our saws were working over time to get all of our Bath stone blocks cut ready for the week ahead. ← Contemporary fire baskets – New range.